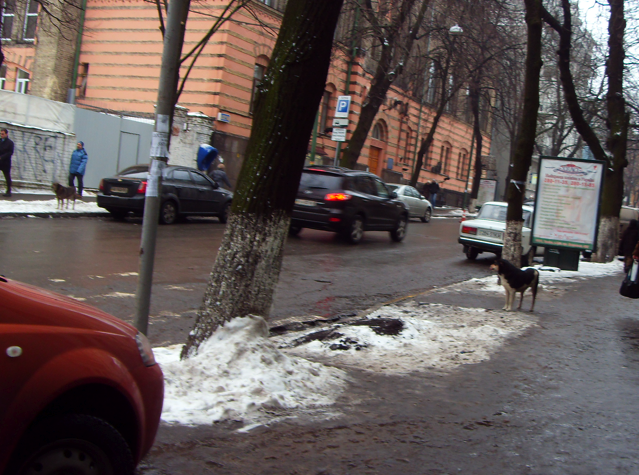 chick in kiev › wild dogs!!! This was written by admin. Posted on Friday, February 6, 2009, at 10:03 am. 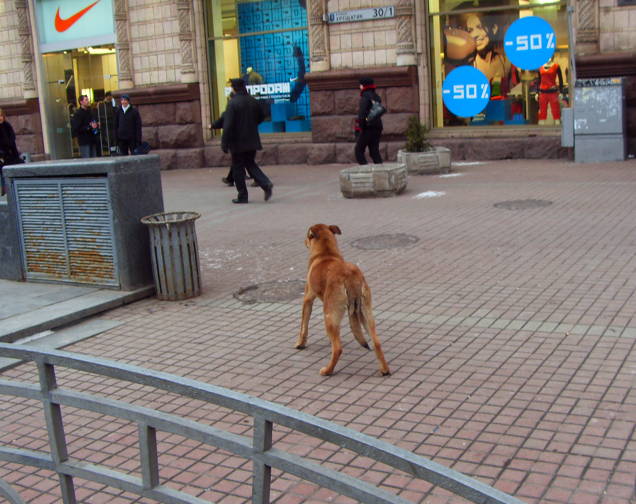 Filed under creative outlet, wild dog of the day. Bookmark the permalink. Follow comments here with the RSS feed. Post a comment or leave a trackback. I take it Chauncy wasn’t with you for the first two photos? 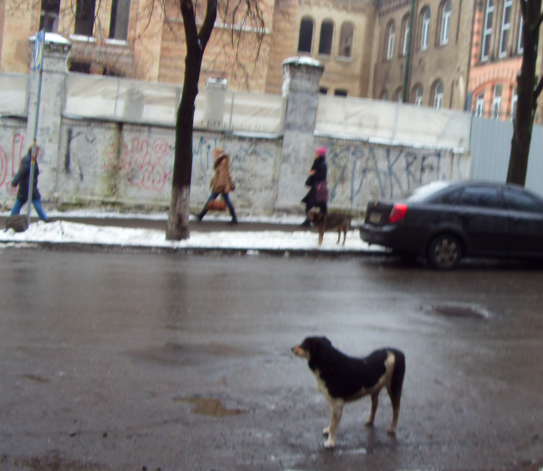 Those are the lookout dogs that watch over that fenced lot/abandoned building/horror movie set. They go batshit if we walk by with our dog. There is a whole pack that lives in there. Have a good time in Germany. We’re escaping in two months! snap! we are going to germany too and I am going through a similar - quick think up a blog name - process. Good luck with your move.